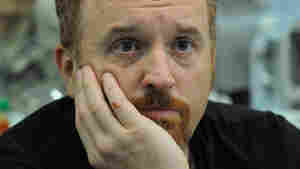 June 28, 2012  Fresh Air's critic at large, John Powers, says Louis C.K. 's raunchy FX show is changing the way comedy is done — for the better. "More than any TV comedy ever, it's all about capturing moments of truth and freshness," he says. FX Welcomes Sheen Back To TV, But Will Viewers? June 28, 2012  Charlie Sheen will return to television in Anger Management Thursday night on FX. Until last year, Sheen was the lead on CBS's Two and a Half Men, the most popular TV sitcom. His erratic behavior forced CBS to fire him. Critic Eric Deggans, of the Tampa Bay Times, asks will people want to watch more Charlie Sheen? June 26, 2012  Lisa Dolan, owner of plus-sized clothing store Lee Lee's Valise tells listeners what music inspires her in Tell Me More's 'In Your Ear' segment. Dolan was star of the TLC reality program Big Brooklyn Style. June 25, 2012  The star of 30 Rock has two films out this summer. 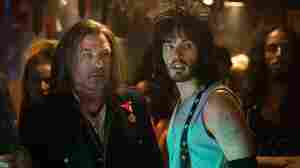 He plays a club owner in the film adaptation of the Broadway musical Rock of Ages. And he travels to Italy with an ensemble cast for Woody Allen's To Rome with Love. 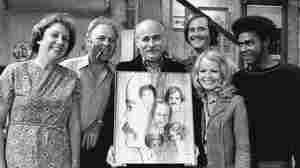 June 23, 2012  Legendary TV producer Norman Lear learned he was different at an early age. Since then, he's made iconic TV shows, such as All in the Family and The Jeffersons, that help us laugh and see how we're all similar. 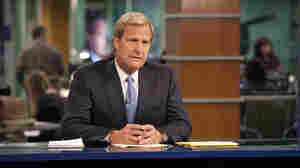 June 23, 2012  Aaron Sorkin's The Newsroom might seem idealistic or optimistic, but a closer look suggests it's more dire in its outlook than many more obviously bleak narratives. June 23, 2012  It's the same hotel where Whitney Houston was found dead in her bathtub just hours before the pre-Grammy party she was to attend in the downstairs ballroom. June 22, 2012  We bounce from chronicles sober and silly to the question of what makes a solid first-person shooter, and confess to being pleased by some of the strangest things. 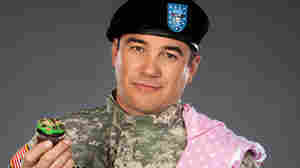 June 22, 2012  The comedian reflects on his award-winning TV series, his relationship with other comedians and his USO appearances. June 22, 2012  Renee Montagne talks to Aaron Sorkin, creator of the new HBO show about cable news called The Newsroom. it depicts a newsroom filled with idealistic types. Some critics have panned it as overly earnest. June 21, 2012  Aaron Sorkin's new HBO series follows the inner workings of a cable news show that sets out to challenge our hyperpartisan, 24/7 news culture. But critic John Powers says Sorkin has created a show that replicates much of what it thinks it's opposing. 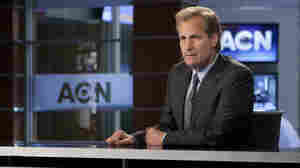 June 20, 2012  The actor stars in Aaron Sorkin's new HBO drama The Newsroom, playing an anchorman inspired to give up fluff pieces and return to hard-hitting journalism. June 19, 2012  The fight against bullying has become increasingly high profile over the past couple of years, drawing in many big-name celebrities. 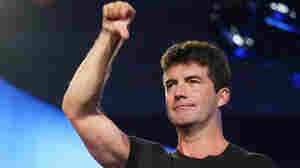 But in the world of reality TV, says commentator Eric Deggans, bullying is alive and well as a profitable career move. June 18, 2012  When Lisa Donovan (aka LisaNova) started making a living off her homemade YouTube videos, she and her fiance knew they'd hit something big. They founded Maker Studios to help other YouTubers hone their content. 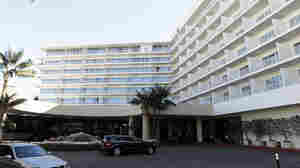 Today, their company and others like it are turning the entertainment industry model on its head. 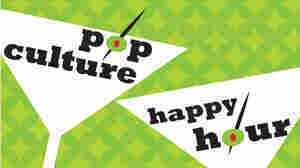 June 16, 2012  Two summer movies face off tonight for your entertainment attention. Will it be the military man who wants to save his family through baking, or will it be the snake monster who wants to chomp you to death?